I am working on a planting design at the moment for a client in Wiltshire and the humble rose will feature in a big way as she loves them with a passion, especially the highly scented varieties. The area I was working on yesterday was the “summer garden” and it’s been really lovely to immerse myself into a bit of summery magic at a time when the days are still a bit grey and cold. 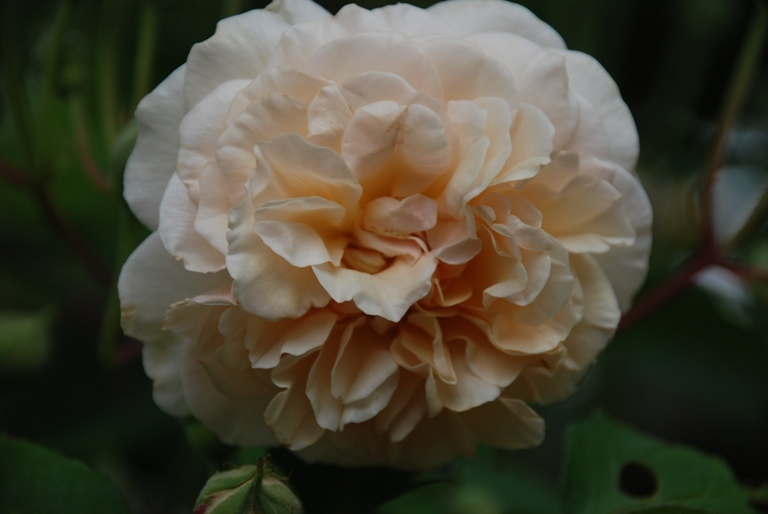 Roses are not everyone’s cup of tea of course, but for those of us who love the romantic feel they give to the garden, I thought I would share a few of the tried and tested varieties to whet your appetite. Rosa ‘Buff Beauty‘ – this is a hybrid musk variety that flowers from July-September and has a delicate dreamy scent. 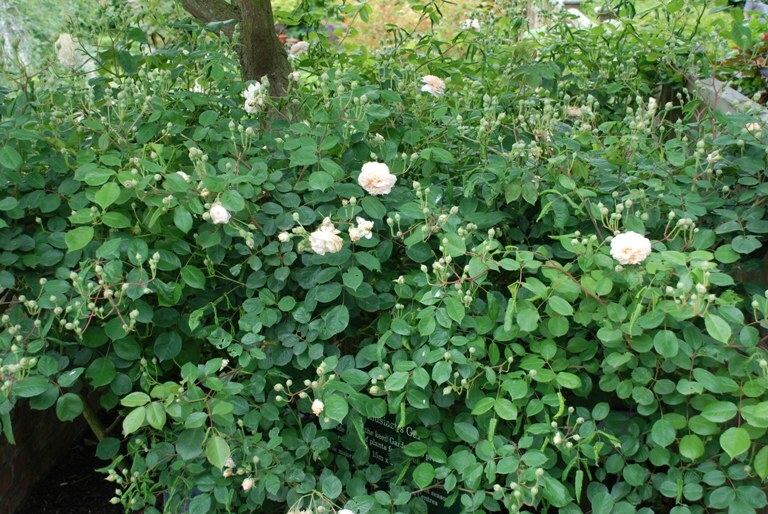 It’s a sturdy repeat flowering shrub rose that works really well in a mixed border, preferably close to a path or gateway where the scent can be appreciated. 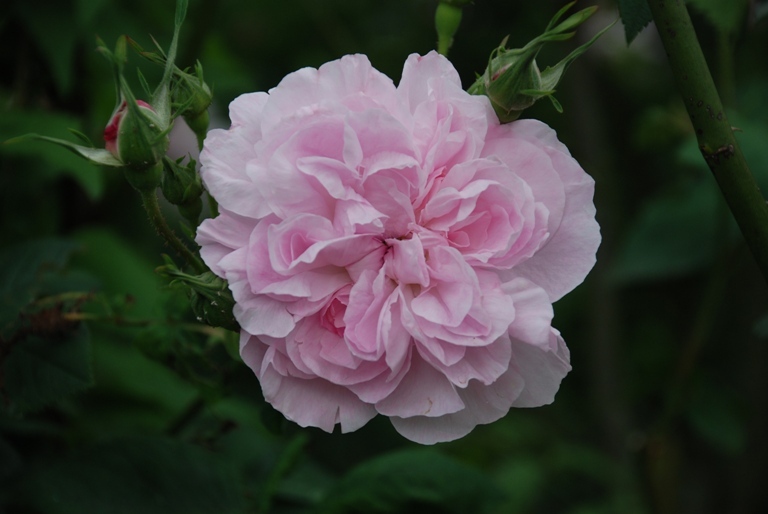 Rosa ‘Fantin-Latour‘ – This is a delicately scented old-style hybrid shrub rose which has gorgeous double, light pink flowers in June and July. It’s very reliable and makes a great specimen for a mixed border. Rosa ‘New Dawn‘ – This one of the best and most vigorous climbing roses which will grow in sun or semi-shade and works really well grown up a house or garden wall. 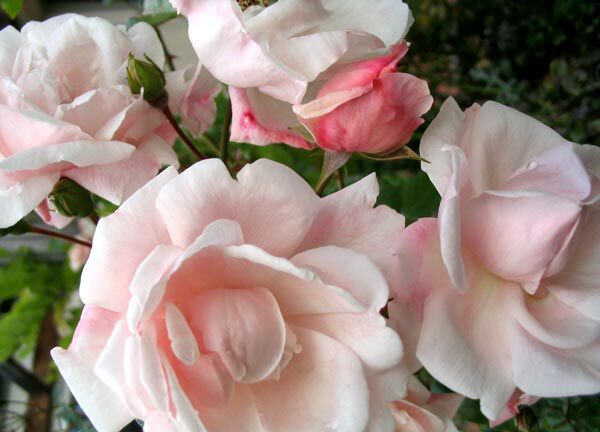 The flowers are pale pink and lightly scented, appearing from July to September. 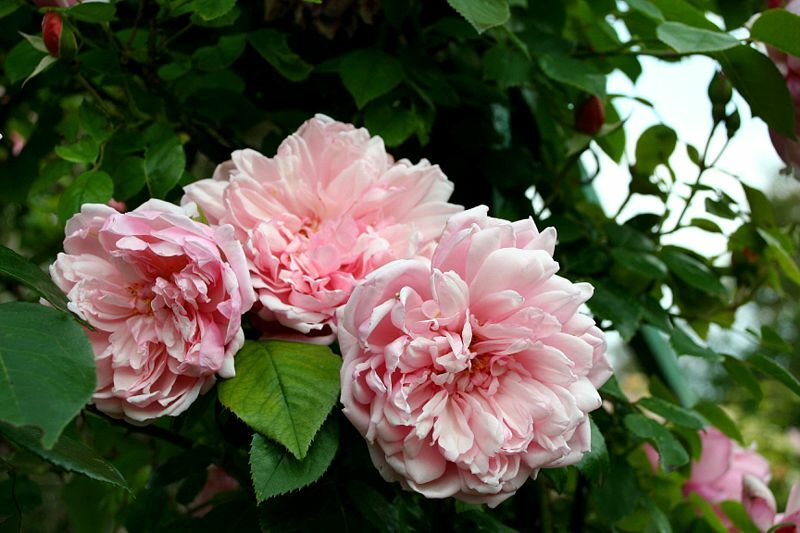 Rosa ‘Albertine‘ – This is a fabulously fragrant, vigorous rambling rose with light salmon-pink flowers which looks great trained over an arch or pergola. It’s really reliable and the strongly scented blooms make excellent cut flowers. 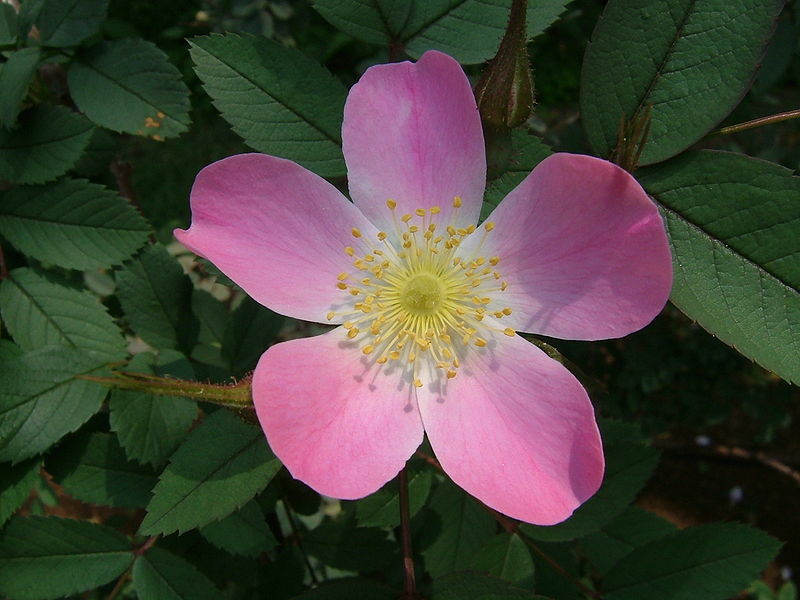 Rosa glauca – A shrub rose with delicate small clusters of cerise-pink flowers with pale pink centres in June and July. The stems are almost thornless so great for those of you who don’t like prickles! The flowers are followed by red rose-hips in Autumn which, with its grey-purple leaves, makes an excellent material for flower arranging. Although quite a vigorous rose, it makes a great species for an informal flowering hedge in an open sunny site. There are hundreds of roses available of course and I plead with you to forgive me for featuring only some of the pastel varieties. One thing’s for sure though, whatever style and colour floats your boat, there’ll definitely be a rose to fit!